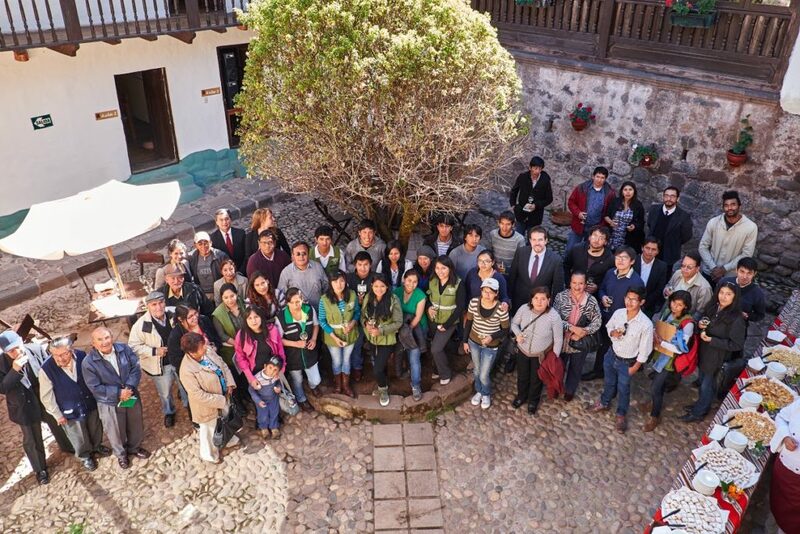 Last month the Ecocity Builders team traveled to our pilot city partners in Medellín/Colombia and Cusco/Peru to facilitate professional workshops as well as onsite demos to train communities in how to collect, upload, and visualize data from their own neighborhoods. 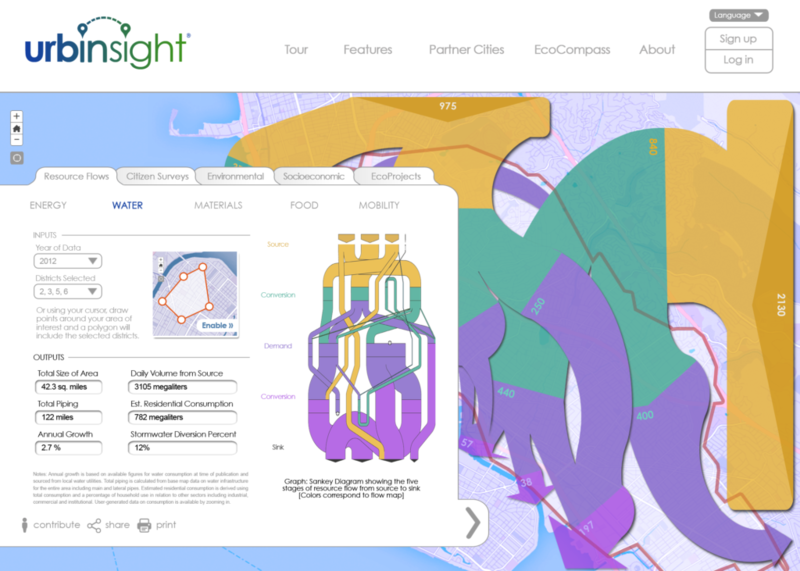 Part of our Urbinsight platform currently under development, the overarching vision of these direct engagements is to create more robust urban knowledge systems through a community oriented process that leverages residents’ inherent familiarity with the spaces they live in. 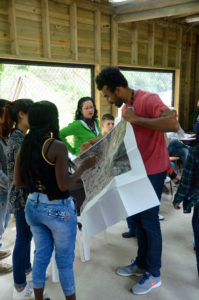 As field implementers of Secondary Cities, an initiative sponsored by the U.S. State Department’s Office of the Geographer, Ecocity Builders is helping to build a regional South American program for capacity-building and data-generating activities that will connect secondary cities with web-based mapping tools and educational programs designed to boost resiliency, support better planning and urban growth management, and enable more robust emergency management planning. 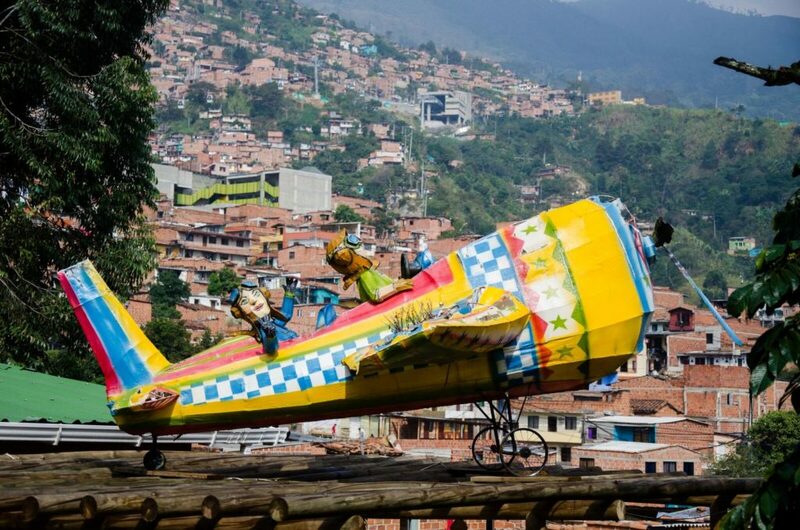 We’ve already got some great visuals from Medellín, so let me take this opportunity to unveil some tasty on-the-ground insights into the process of participatory action research from the second leg of our Latin American journey. 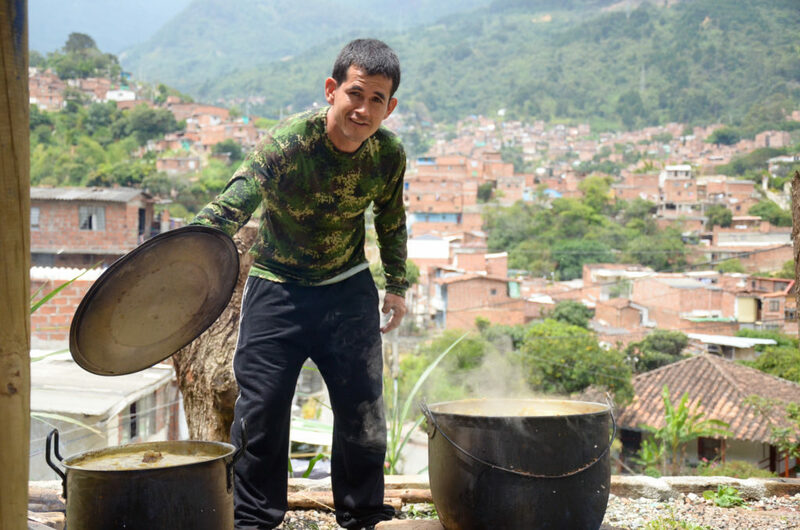 Comuna 8 style hospitality feeding community auditors with more than data. 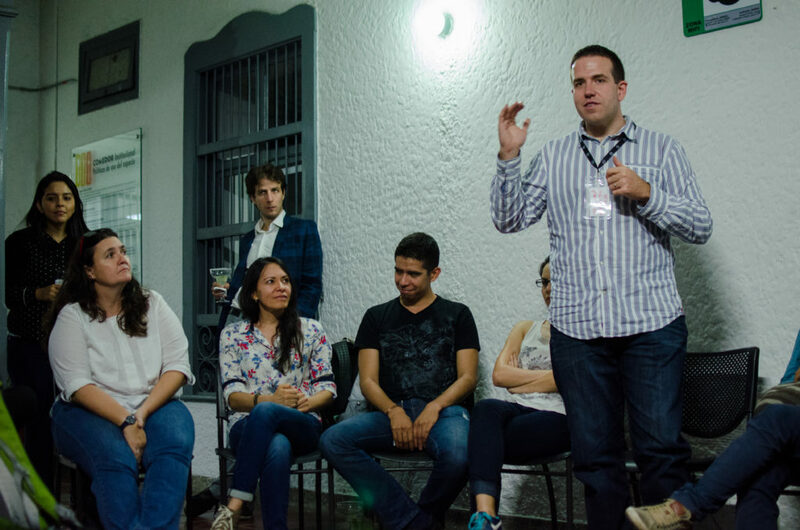 The sessions included two professional workshops held at the National University of Colombia, where our team introduced faculty, local officials, architects, and planners to the ins and outs of creating a dynamic mapping platform that visualizes multiple data types with citizen engagement at its core. In the second workshop, Ecocity Builders ED Kirstin Miller introduced the organization’s core concepts, tools and methods underpinning the Urbinsight approach to GeoDesign — a means for planning built and natural environments in an integrated process, including stakeholder participation and collaboration, design creation, simulation, and evaluation. 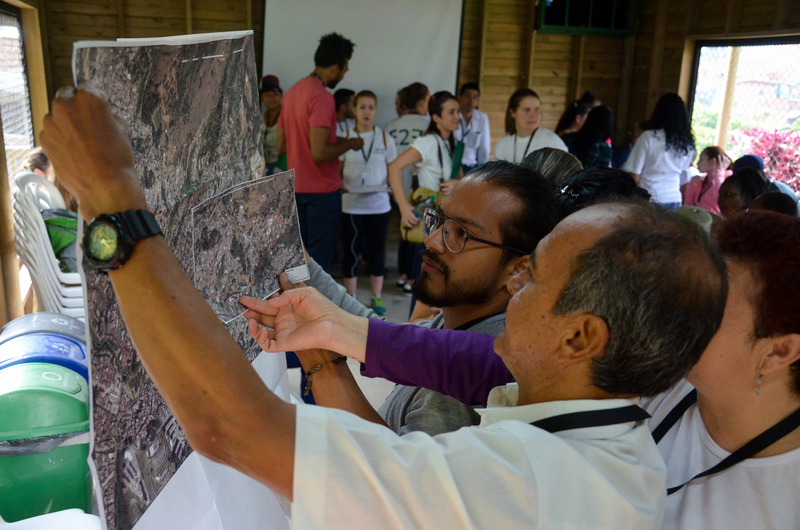 Participants utilized data layers from the open source geospatial content management system Geonode, where the information could be assessed in conjunction with citizen sourced data and high resolution imagery drawn from government data. 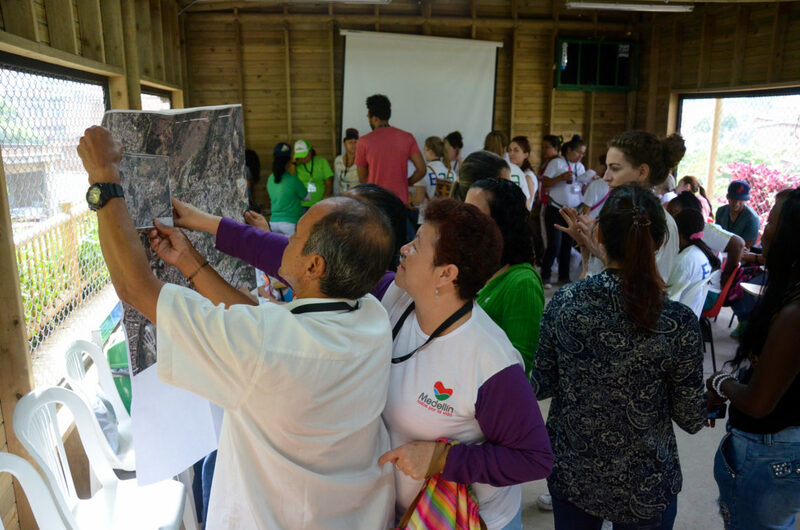 The workshop used the information in combination with guided tutorials where participants could set up a case study of their city and neighborhoods based on UN Sustainable Development Goal 11 (urban policy). Ecocity Builders’ Community Planner Sydney Moss helped to guide along the process. 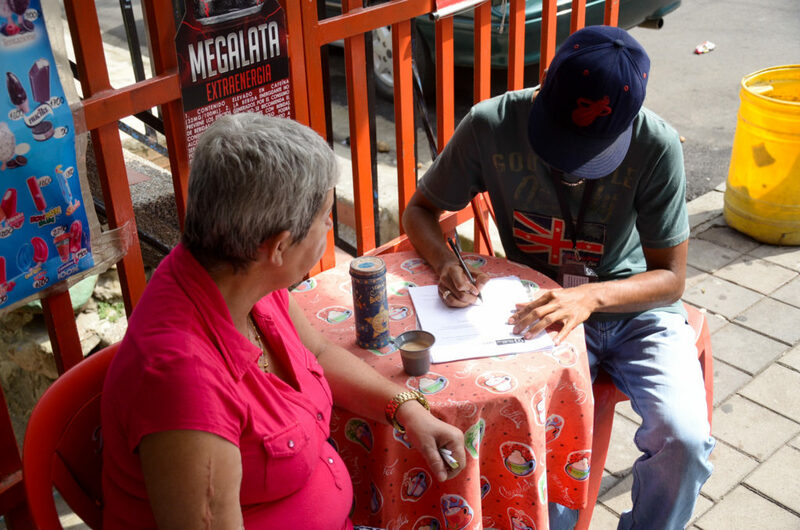 Speaking of citizen sourced data, the community demo took place alongside the professional workshops in Villa Hermosa, aka Comuna 8, a working class neighborhood in the eastern hills above downtown that was hard-hit by the turf wars in the early 2000s but has been taking off again in recent years as a community committed to creative reinvention. 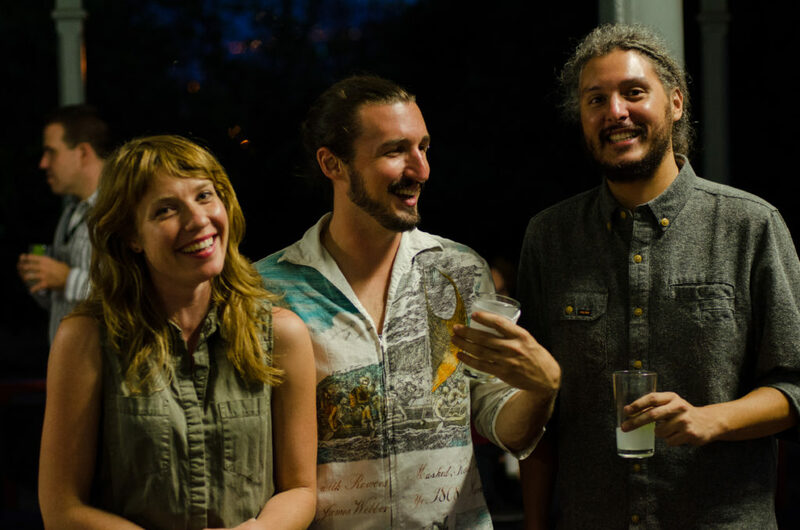 In addition to getting everyone into the field, we co-hosted a celebratory launch event, something we like to do whenever possible to get everyone in the collaborative spirit. There were about 45 local government representatives, data partners, professionals and university students joined by Team Ecocity, everyone looking pretty relaxed and ready to go. 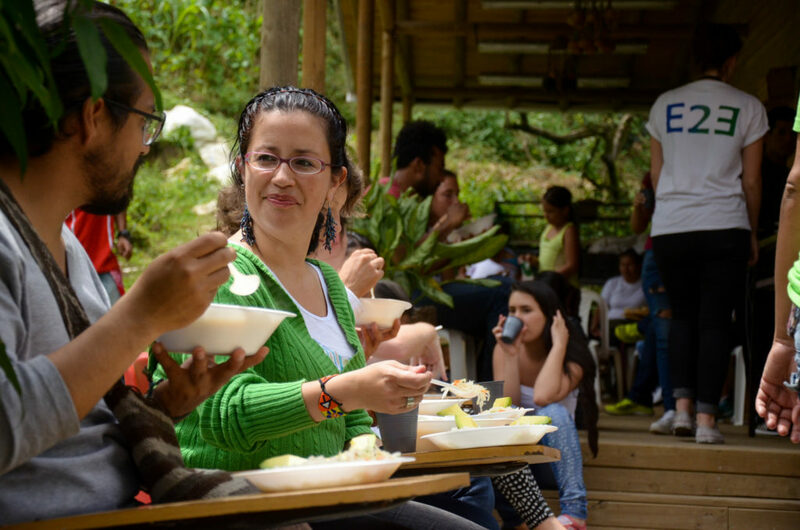 Medellín’s Secretary of Education made an appearance at the event, expressing interest in working with us to adapt the method and materials for the Medellín school system that includes schools in urban and rural areas. Andrew Griffin, Officer of the U.S. State Department’s South American Environmental Hub, also showed up, excited about the impact the expansion of the program could have on the USG’s Secondary Cities Program. 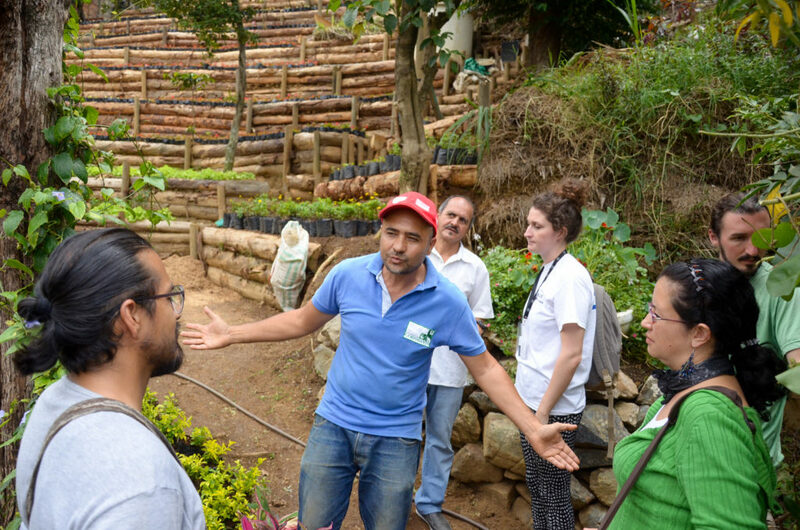 The next morning, everyone met at the magical community garden El Cerro de los Valores, which had been offered as a staging area for the demo. 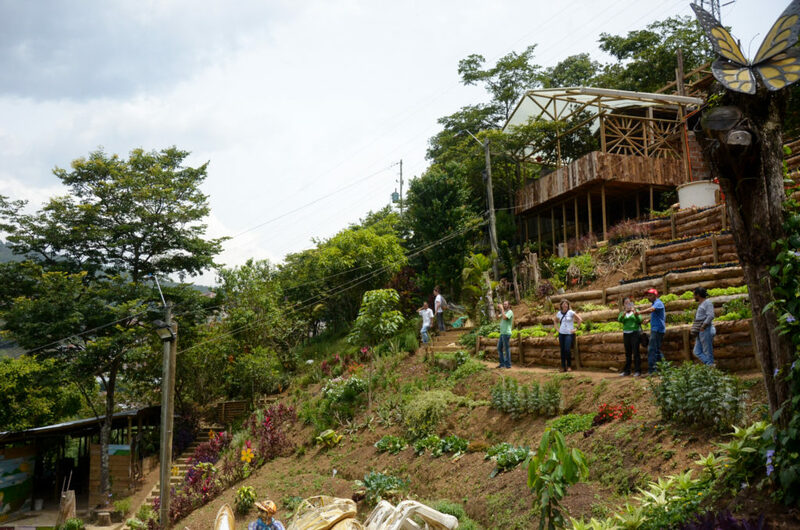 Dedicated to a culture of teamwork and peace, El Cerro de los Valores (The Mountain of Values) was started in 2004 by Joaquín Calle, who sought to build a creative oasis of justice and peace predicated on the preservation and care of the environment. 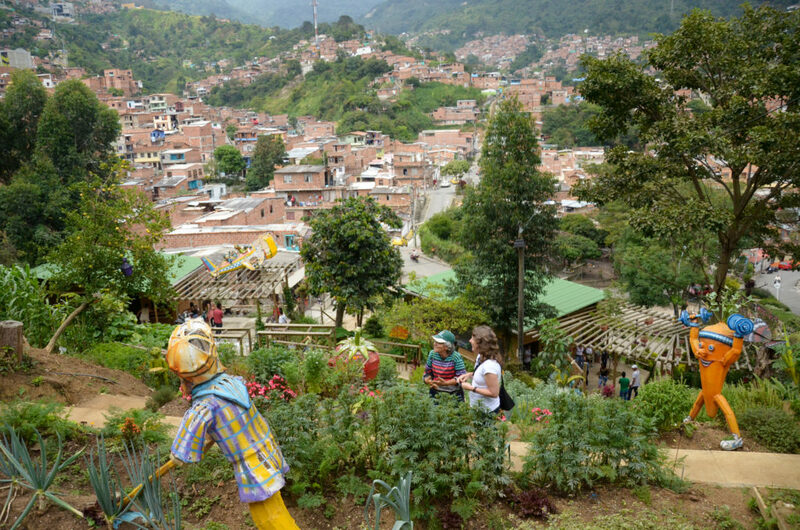 Through citizen participation and social engagement, Joaquín’s creation, along with other dedicated community members, has been transformed into a communal ecological garden with an outdoor butterfly garden, composting facility, and nursery and landscape maintenance elements that are officially recognized in the city’s ambitious greenbelt transformation program and have won multiple national and international awards. Joaquín Calle giving a tour of El Cerro de los Valores. It was a perfectly thematic place to congregate. 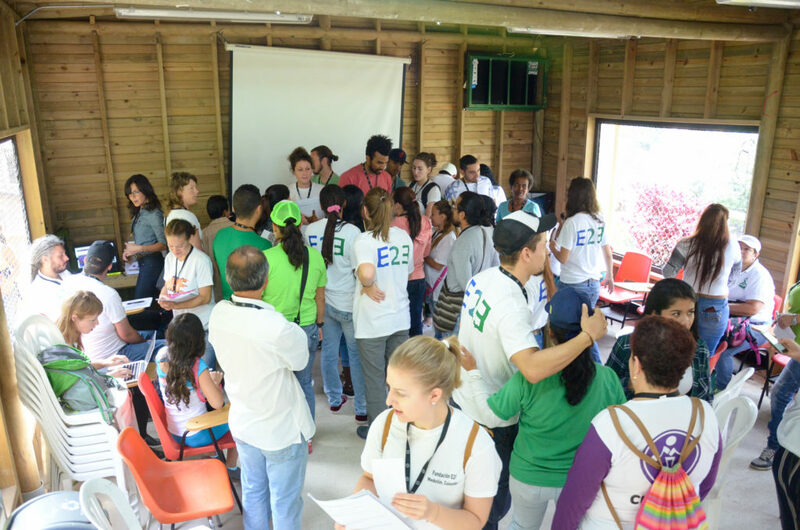 National University students and E2E Foundation, a local NGO that forges collaborative relationships between developing communities and businesses/organizations that want to invest in social and environmental good, had coordinated with the local community to conduct the surveys. 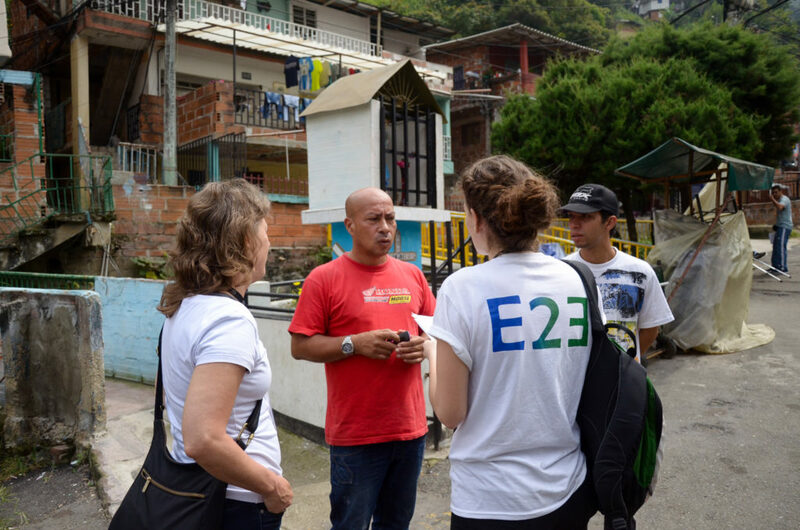 The focus of the quality of life surveys that day was to collect specific information about waste and recycling, a priority expressed specifically by the community. 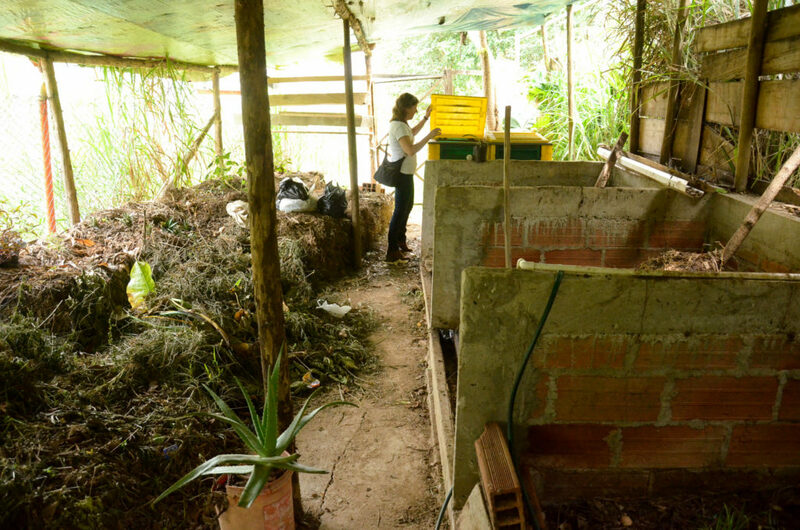 What better place to start a materials and resource audit than in Joaquín’s composting area! 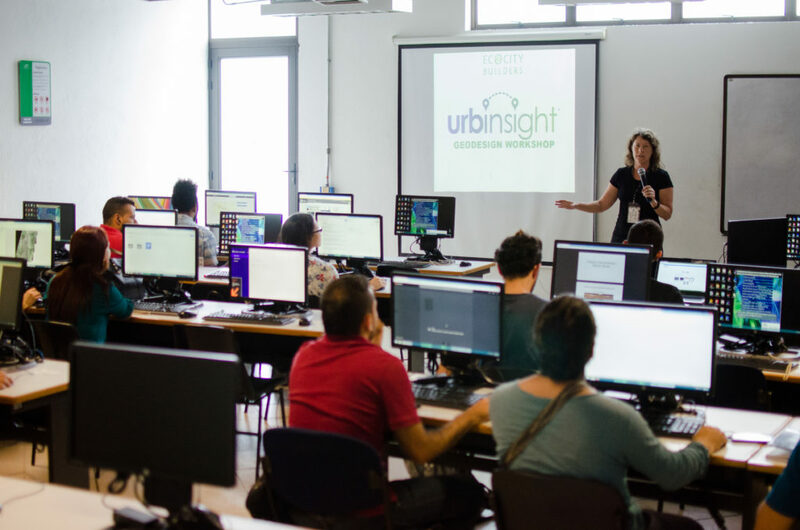 Once everyone had arrived, it was time for more detailed instructions on how to use data collection apps that feed into the Urbinsight platform, like What Three Words, Collector App, or the plain old fashioned way — simple paper forms. Then the volunteer auditors began to scope out their routes for the day. 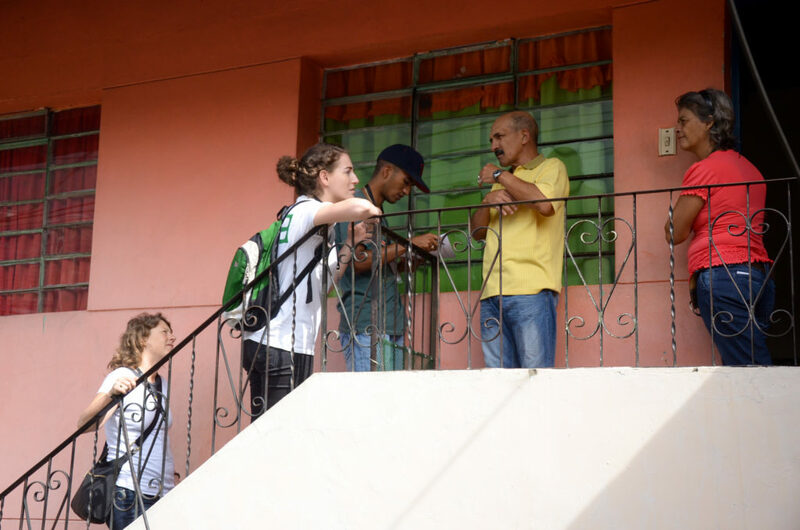 swarmed out into the streets of Villa Hermosa. 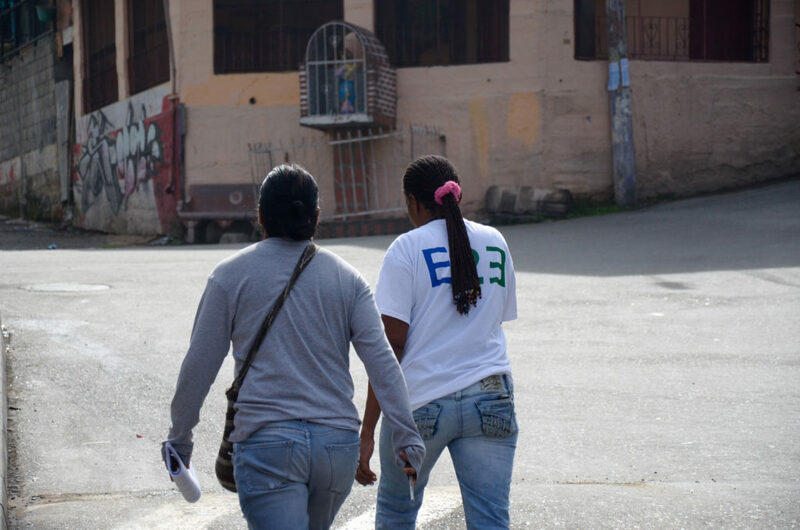 to collect the information that will not only be important for Comuna 8 residents to understand and improve their own waste stream and for the city to understand the needs of its people, but for other cities and communities across the globe to exchange with and learn from each other through the Urbinsight platform where all the data is collected and visualized. exchanging stories and experiences from a long day at the (field) office. 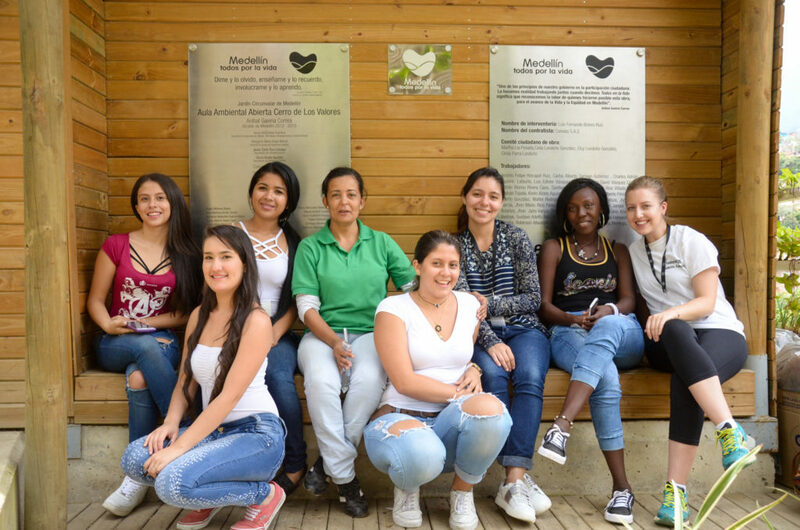 Universidad Alas Peruanas is incorporating student projects from the Secondary City projects into formal curriculum. 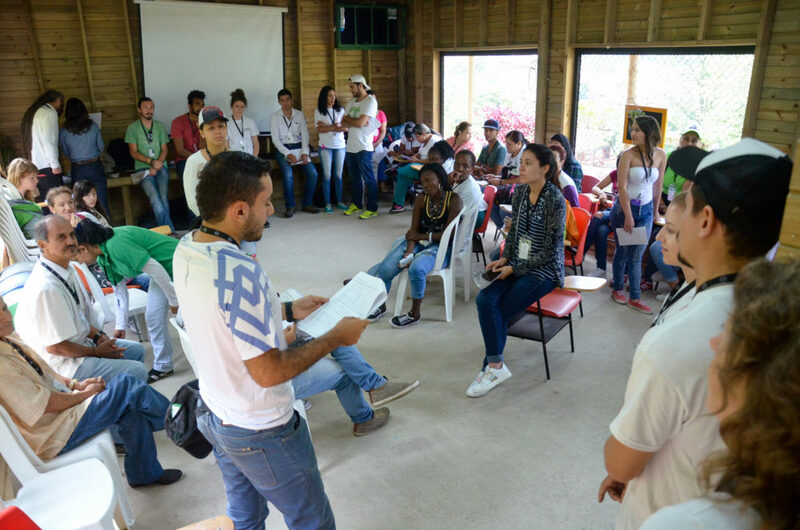 Several students are considering writing their bachelor theses on a topic linked to solid waste management in San Pedro or one of the other elements of the Secondary Cities initiative. The lead municipal official for land-use planning sees the value in the community engagement methodology and plans to incorporate elements of the Urbinsight tool into decision-making. 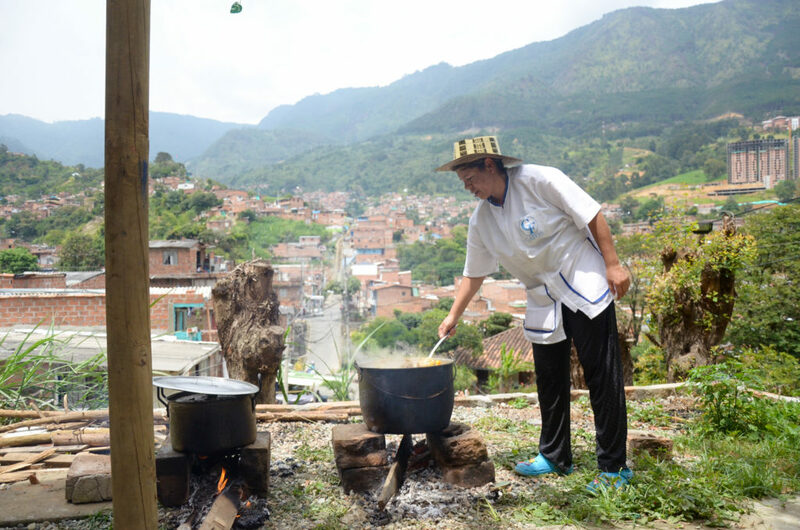 There are discussions and planning for Secondary Cities and partner representation at the upcoming UN Habitat 3 conference in Quito, including a program of participation and exhibition. 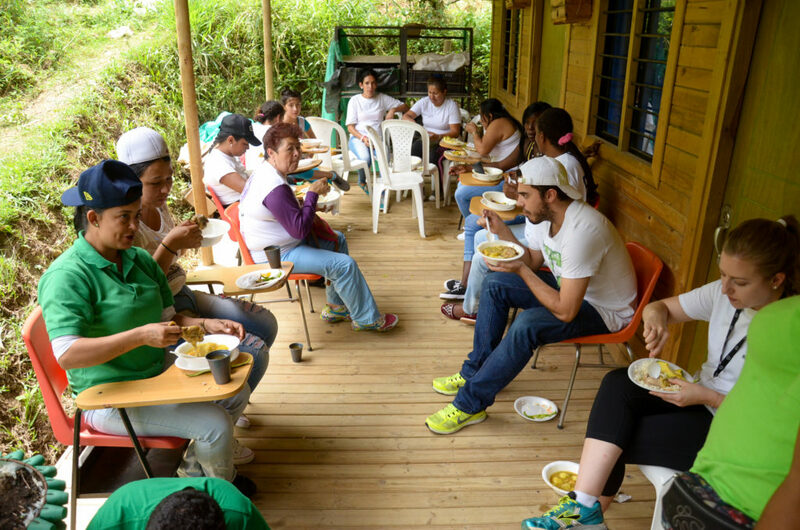 While I wasn’t personally able to take the journey, I feel like the wonderful photos taken by E2E’s Multimedia Communications Coordinator Sebastián Sánchez Osorio along with the reports from the Ecocity team transported me right there. I’m hoping this visual essay can help remove some of the complexity and dryness that often comes with the territory of data collection and processing. In this age of big data, we sometimes miss the lush organic forest for all the digital trees. So I try to remind myself and those in the field of making sense of things as complicated as cities that ultimately, what’s behind this ambitious endeavor to build a platform that can provide a deeply equitable look into the inner workings and dynamics of our urban ecosystems is the people who live in them and who make it all happen. if we do it together! 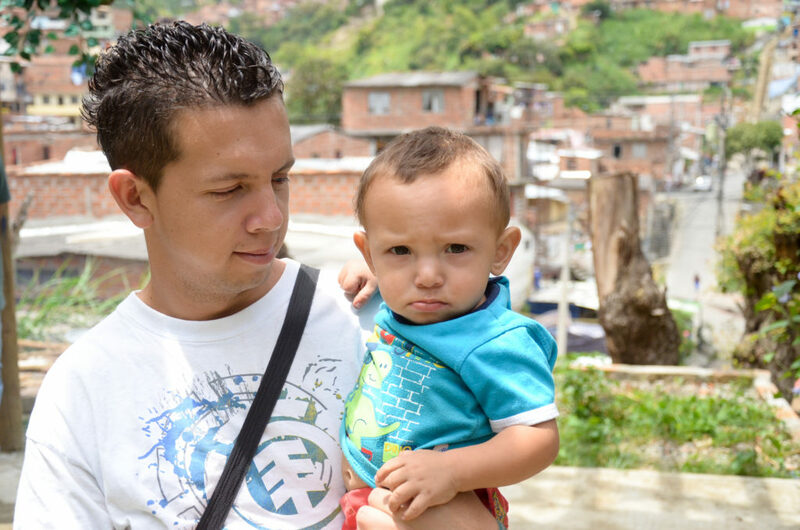 I’ll leave you with Sebastián’s video summary of these special ecocity encuentros in Medellín.